The EU was supposed to make trade across borders easier. The VATs on ebooks make it a mess. The VATs on them vary from 3% to 25% and because those taxes are taken out of the retail price (rather than added on afterward) it means the retail price has to vary between countries if an author and publisher are going to get anything close to the same return on each sale. Making matters worse, companies such as Amazon and Apple typically impose pricing only in x.99 increments. 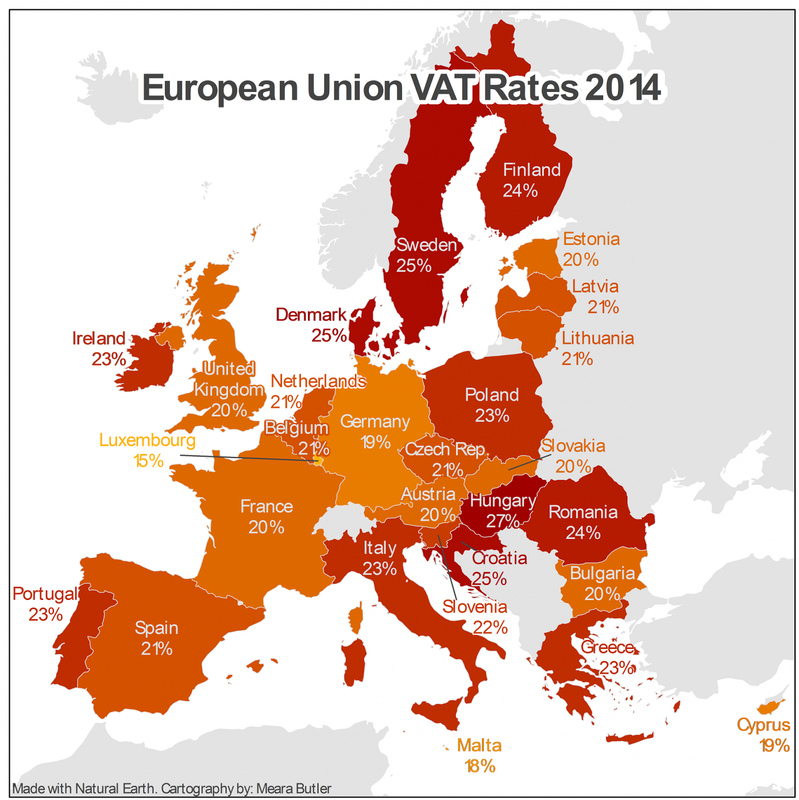 That it impossible to match prices to VAT closer than a full Euro, current just over a dollar. The book versus ebooks conundrum isn't even as ridiculous at that for audiobooks. Audiobooks often get the lower book rate if shipped on physical media (cassette or CD) but the higher ebook rate if sent over the Internet. Since what's being purchases is the same digital file, that makes even less sense. Hopefully, in the next year or two the EU will straighten this mess out.